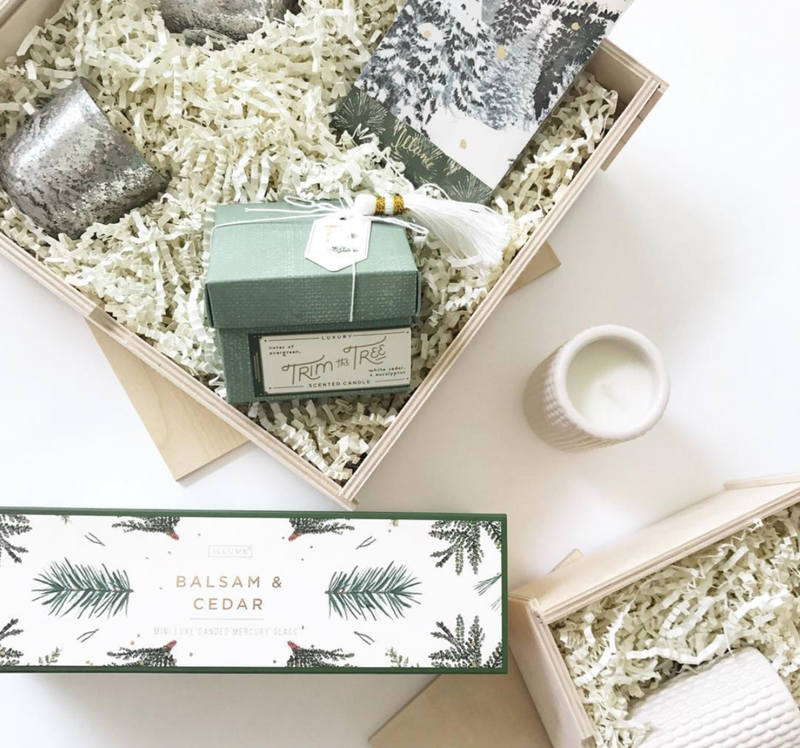 Minny & Paul was founded with a vision to elevate gift giving and make it easier to share high-quality local products showcasing local makers, creatives and brands. You pick the box, they handwrite your gift message and send directly to the special person in your life…or you can even build-your-own-box at local events. Minny & Paul has set the bar at helping spread gratitude through local gifting. While working in the North Loop community, I was constantly exposed to new incredible, local businesses and wanted to create a way for others to experience the same. We just crafted our core values so this is a perfect time to share those. We actually just moved into a new studio space with our friend, Ashley Mary and we are loving it! There is a beautiful client area where we host and have meetings and of course we get to see Ashley’s art all day long. We now have space and room to operate which has been an amazing transition from our last shared studio space. A full service coffee cart would be a dream. My Google calendar and my Panda Planner. My brain is very scattered so if I don’t organize my thoughts at the beginning of the day I’m always running five minutes behind and easily overwhelmed. We continue to see growth in our custom and corporate side of the business. We also have plans to expand in wedding in 2018 as well. Starting a business means putting yourself and your ideas out into the world. It’s very vulnerable. Don’t let the fear of failure prevent you from pursuing your idea. Common misconception about starting/owning your own business? It’s one thing to start a business – but it’s a completely different ballgame to grow and maintain one. The launch is the fun part! Good question! There is growth potential in our custom and corporate market and we have a few mid-size markets similar to MSP on our radar for expansion. Annabella Sardelis of Indigo & Snow. She is so kind and her process is very cool. "Be easier on yourself and remember to have fun." Ultra feminine, over the top cursive handlettering. Tough one! Lynhall for the vibe. Up Coffee in Northeast for the convenience, food and ample seating. Los Cabos, Mexico. I go there every year with my family to the same place and it’s become a little home away from home. I’m getting married there in February and really can’t wait.